Sorry for the long silence but I was in Chicago enjoying the awesome weather and stunning Lake Michigan up through this past long weekend and I’ve been in total vacation mode. Can you believe Memorial Day was yesterday? It seemed like the winter was never going to be over and I still worry, despite the fact that it is almost June, that there is still a lingering snowstorm somewhere. Because yesterday was Memorial Day, we like to think that the summer has started but it’s really still Spring for about another three weeks. 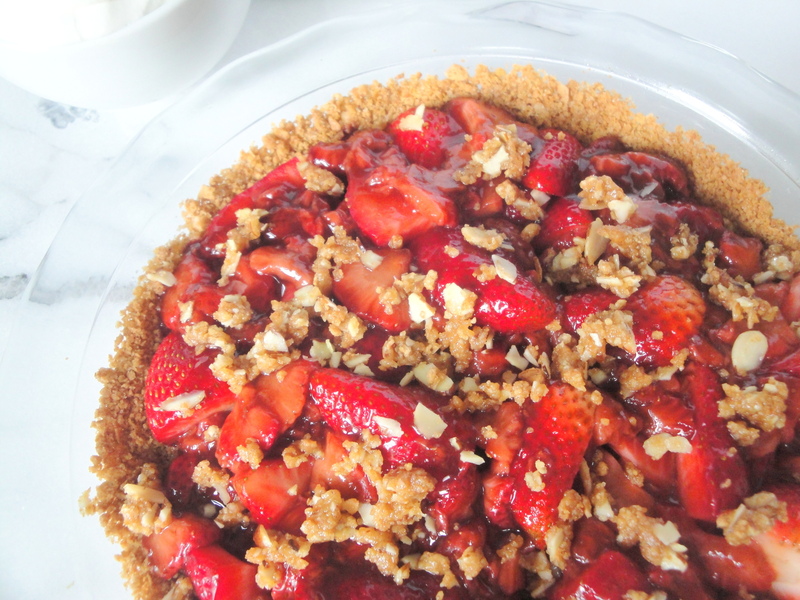 Maybe you went to a picnic yesterday and ate a lot or maybe you just laid low and celebrated the life of a veteran but no matter what you did, enjoy life this week with something Springy and sweet like this Spring Strawberry Pie. Strawberries are sliced and cooked with a little balsamic vinegar, sugar, and cornstarch creating a chunky, thickened strawberry mixture similar to preserves. 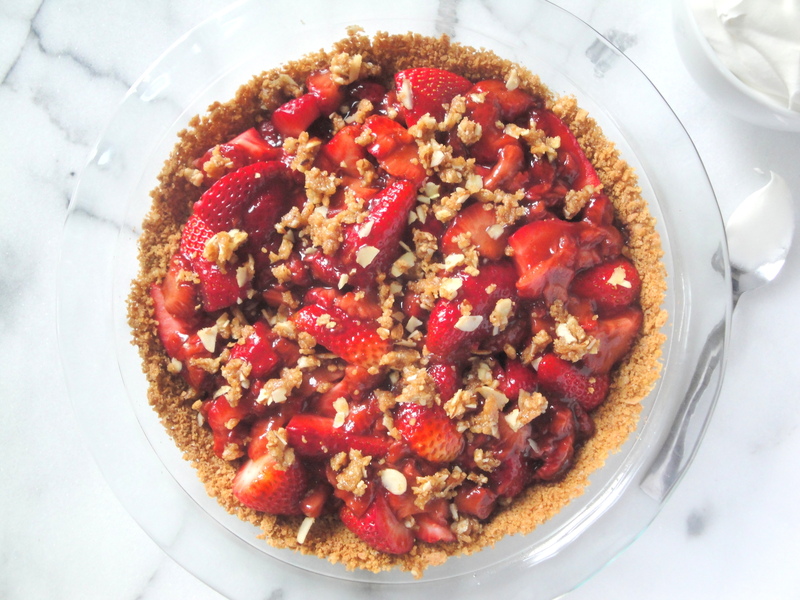 This mixture is poured over fresh strawberries and a freshly baked graham cracker crust and topped with a quick crumble of additional graham cracker crumbs, almonds and sugar. Once refrigerated, this pie is ready to be served, especially with a giant dollop of whipped cream, low-fat or regular. Balsamic vinegar and strawberries pair so well together and the vinegar melts away leaving only a complementary flavor and not overly bold taste. This pie is light and scrumptious. My strawberries were still pretty huge so if you can find small ones, all the better (just cut bigger berries in half or quarters). 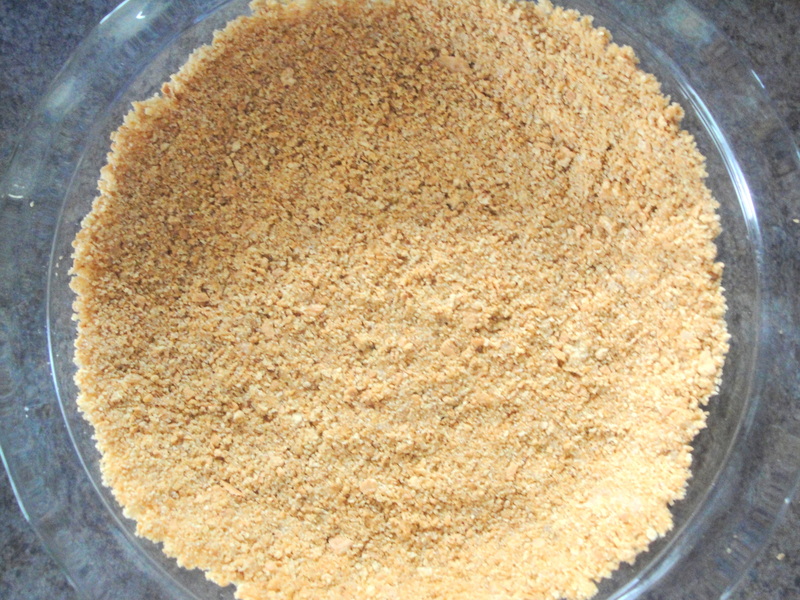 If you don’t feel like making your own crust, you can easily buy a pre-made graham cracker crust to save time. The strawberries are the real star here (even though I’m a complete sucker for any kind of crust) so if you need to take a short cut, go ahead. 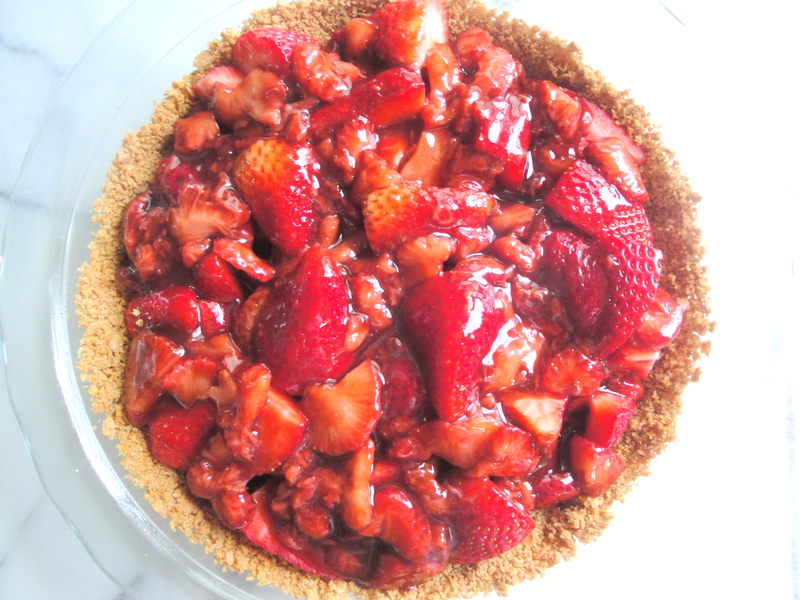 This pie is a perfect little treat that takes advantage of strawberries which seem to be so abundant right now. Got too many from the farmer’s market? Meet this pie. Preheat oven to 350°F. 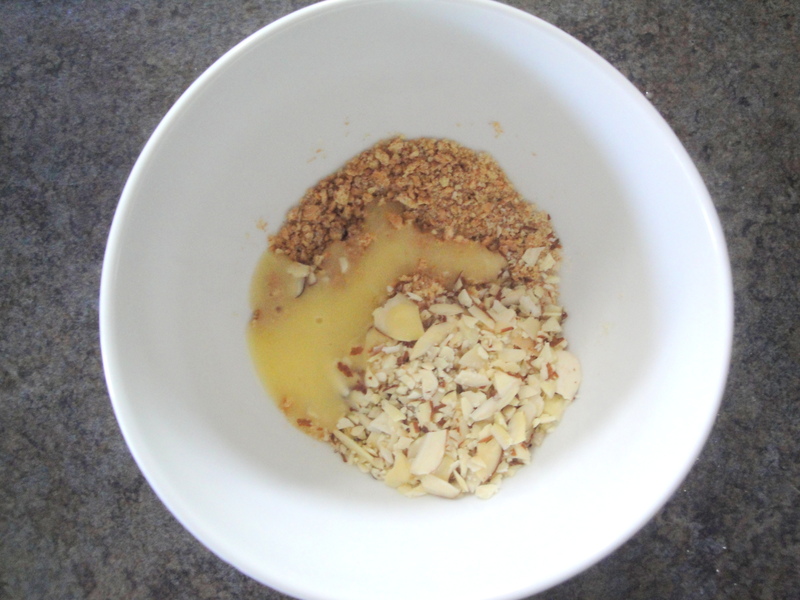 Combine graham cracker crumbs, butter, and sugar in a bowl, tossing with a fork until moist. Press into bottom and up sides of a 9-inch pie plate coated with cooking spray. Bake at 350°F for 15 minutes; cool on a wire rack. 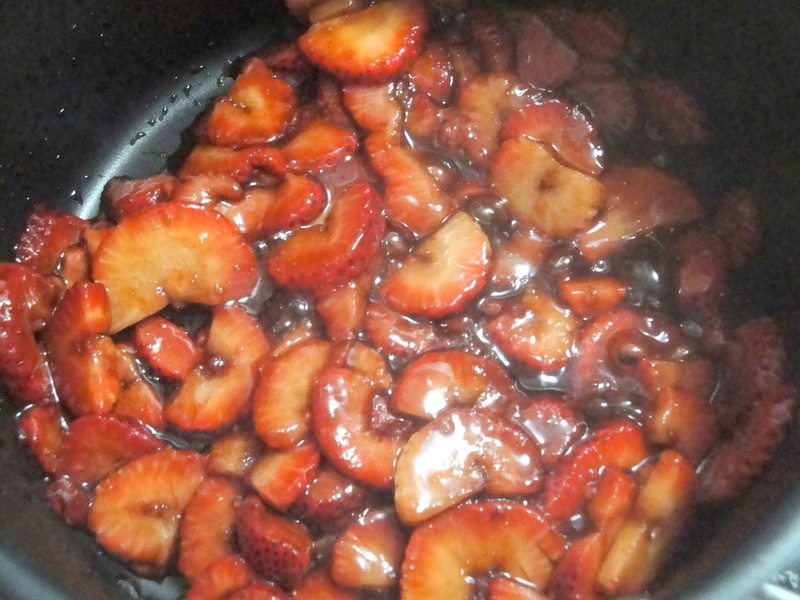 To prepare the filling, combine strawberry slices and vinegar in a medium nonstick skillet. 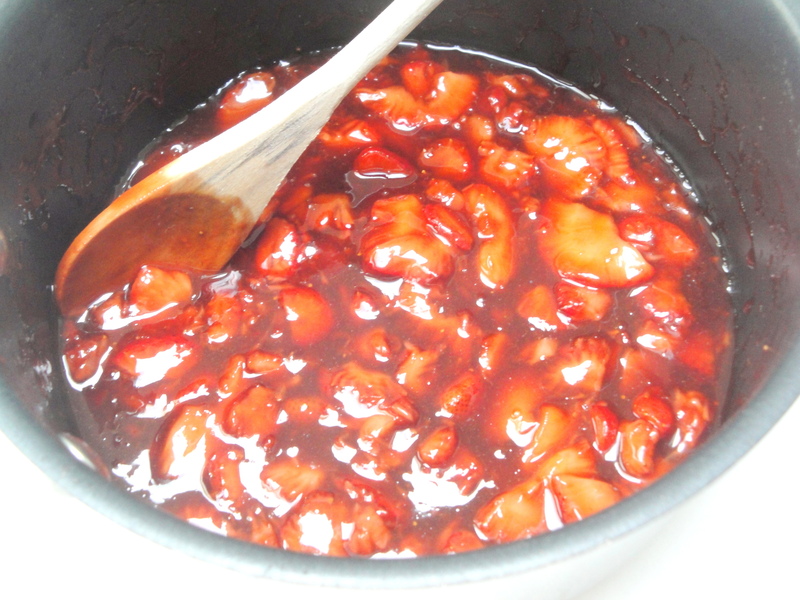 Place the berry mixture over medium-high heat; cook for 3 minutes, stirring occasionally. Stir in 1/4 cup sugar. Combine the water and cornstarch in a small bowl. Add to pan, and bring to a boil. Cook 1 minute, stirring constantly. Remove from heat; stir in juice. Cool completely. Arrange whole strawberries, stem sides down, in crust. Pour cooled strawberry mixture over whole strawberries. Cover loosely, and chill 4 hours. To prepare the topping, combine 3 tablespoons cracker crumbs, nuts, 1 1/2 teaspoons sugar, and 1 1/2 teaspoons melted butter in a small bowl. 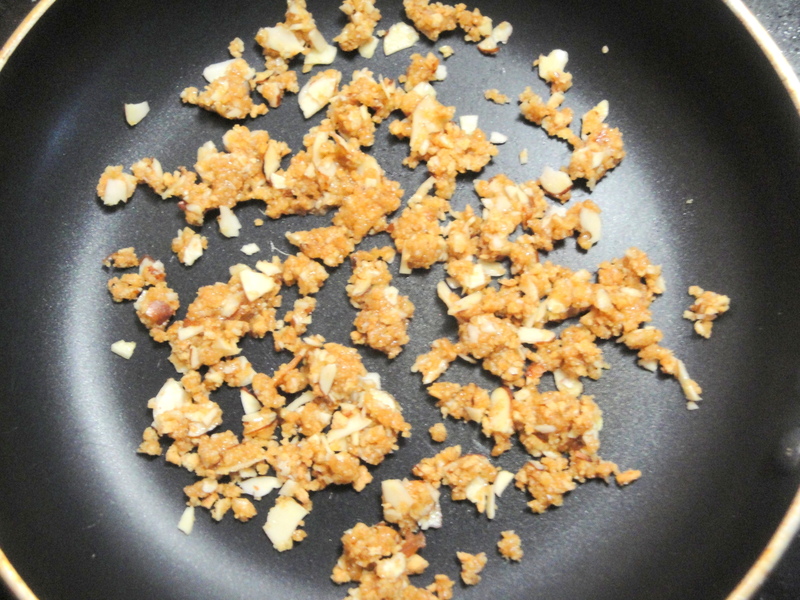 Place crumb mixture in a small skillet over medium heat. Cook 2 minutes or until golden brown; cool. Sprinkle crumb mixture over pie. Top each serving with whipped topping. Soooo happy winter is finally over!! Fresh strawberries are one of those reasons. This pie looks awesome!